Lahore is the city that engulfs much of the historical places within it. These buildings were built in the era of Mughal, Sikh and British emperors. These beautiful historical buildings have several styles such as Victorian and Islamic styles. These buildings of the past are the main reason for which Lahore receives a lot of tourists. In the recent past, these buildings have started receiving the threats to their existence. The governmental authorities are always busy in making the plans that may get these buildings abolished. Let us here see some of the important places of Lahore. This is the building that was constructed in the Mughal era. As the name suggests this building is filled up with a great number of mirrors. All of these mirrors are engraved into the walls and ceiling of this building. This building used to be an adorable piece of art from the Mughal empire but to the ill fate of Lahore’s people this building has been reduced into a building with no shine or grandeur. The government or archeological department are least concerned with the deforming of this building that has brought this beautiful piece into the present state. As the things are going we can easily say that in the near future this building would change into one of the ruins from the Mughal era. This is the building that shows four pillars to the on-lookers. Actually the word chuburj is the product of two words “char” meaning four and “burj” meaning pillars. So, it means a building with the four pillars. It used to be very beautiful monument, an entry point to the garden which is now abolished. Only this little piece of art, constructed by Aurangzeb’s daughter, Mehrunisa, can be found now. It is now in the shape of a round about that assists the traffic of Lahore. As the time is going soon even this little piece of art won’t survive for the city plans of the government. Here we must quote the recent example of the orange train track that was planned by the government to be laid by demolishing this and few other historical places but the people of Lahore saved it from happening by taking in the court’s order. Though we have saved it now but soon we would lose it and other historical places for the need of the time or for the infrastructural plans of the government. This is a magnificent royal style garden of Lahore. It is the main point for the recreation of many and attracts a lot of tourists from all over the world. The area around this garden is Garhishaho that faces a lot of traffic problems these days. For the reason of stuck up traffic, air and noise pollution people have now abandoned visiting this beautiful piece of art from the olden times. Though the caretakers of this garden leave no way to keep its beauty intact yet the way that leads us to this place has impacted the tourism to this place a lot. If that area receives a little bit of developmental moves by the government then only this place can revive on its past time glory that we do not see happening in the near future. 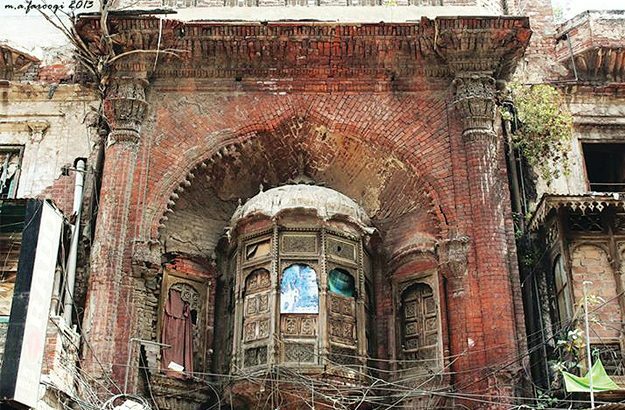 Seeing the condition of all the historical places present in Lahore like Yaki gate, Bhatti gate, mochi gate, Hazuri bagh etc we can see that all of these things are moving towards to the times when they would totally be demolished and ruined. No matter how hard we try, a day will come when we won’t be able to find even one piece of art from the olden times in Lahore.